Sir Arthur Conan Doyle’s house is safe–for the moment. I became a part of the Undershaw Preservation Trust over a year ago when I became one of the Florida representatives. At the time, I couldn’t believe that the home of such a prominent writer was under threat of imminent development by people who did not intend to preserve its historical legacy. Things got even weirder–I found out that the British Historical Trust had refused to fully protect the house in the past because they claimed Sir Arthur wasn’t an important enough writer. (I’m not kidding-this is documented. You can google it.) I also found out that the incomparable Mark Gatiss of Sherlock acclaim was the patron of the Preservation Trust. How, I thought, with people like him and Stephen Fry on their side, could the Trust fail? But then I looked up the legal stuff. I saw the condition the house is currently in, and I understood why citizens who live near it are eager to see it restored. For some, the idea of development seemed like a good plan because it would mean someone was doing something. To lovers of history like me, however, the idea was horrifying. Conan Doyle designed the home for his wife, lived in it for a decade, wrote The Hound of the Baskervilles there, and finally resurrected the world’s greatest detective during his residence there. The historical and literary significance is mind-boggling, not to mention that the house itself is an absolutely gorgeous example of turn-of-the-century architecture. I’ll admit, I’ve been pretty pessimistic about the ruling for some time. Those of us involved with the Trust saw the court date postponed, naysayers decrying the chances, and a tide of legalese that seemed to be on the side of development. Turns out The Undershaw Preservation Trust did its homework. When the home was greenlit for development, the proper legal steps were not taken. As a result, a judge has ruled that the development cannot go forward. This is a truly joyful day for lovers of Sherlock Holmes and his creator’s home. But it’s only the beginning. 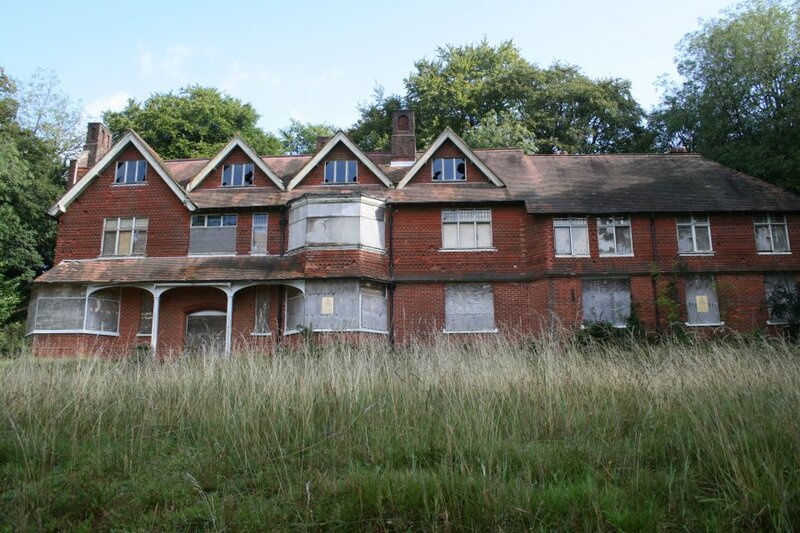 Undershaw still stands vacant, run-down, and in need of serious care. That care will require attention and funding for years to come. If we truly desire to preserve Undershaw as a piece of history, we can’t afford to stop working now. We won, but winning is the very first step. If you had a chance to take one Sherlock Holmes story and adapt it as a movie, play, radio play, or some other media, which would you choose and why? 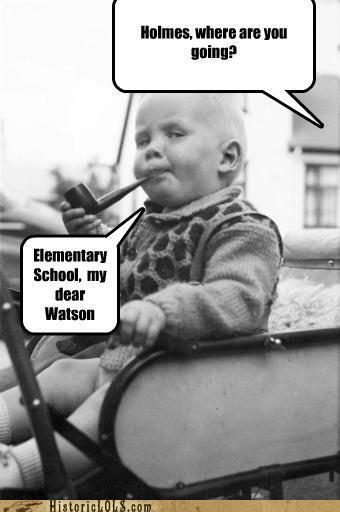 He is the Napoleon of crime, Watson. He is the organizer of half that is evil and of nearly all that is undetected in this great city. He is a genius, a philosopher, an abstract thinker. He has a brain of the first order. He sits motionless, like a spider in the center of its web, but that web has a thousand radiations, and he knows well every quiver of each of them. Not, perhaps, the final problem, but certainly the biggest problem confronting the BBC’s Sherlock is always how to update stories and characters that are iconically Victorian without destroying the essence of the original. Steve Thompson (with input from Gatiss and Moffat, I’d imagine) had a particularly daunting challenge with which to contend this series, that of adapting a story that contains one of the most important events in the Sherlock Holmes canon but is at the same time, arguably, one of the least well-plotted of Conan Doyle’s stories. In this reviewer’s opinion, The Reichenbach Fall not only matched Conan Doyle’s version–it was better. 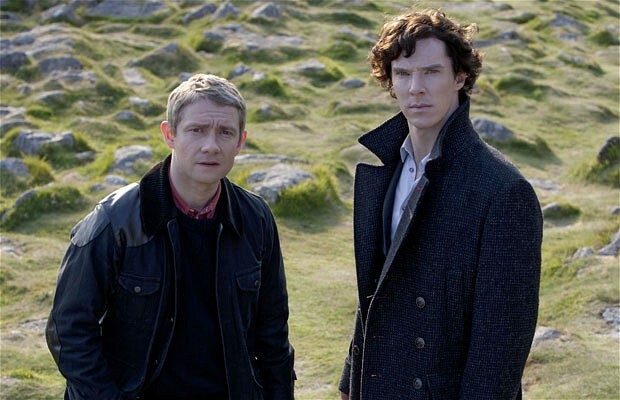 Certainly, the Sherlock team could have chosen to stick closely to the original story. Holmes and Moriarty could have confronted one another, and Sherlock could have foreseen eventualities and dragged Watson to Switzerland for an emotional climax. But that’s not how Sherlock works. Unlike Conan Doyle, who chose to off Holmes using someone who hadn’t previously been mentioned, the BBC version has done a careful job of crafting Moriarty as Holmes’s nemesis from the first episode of Series 1 when his name is uttered by the dying cabbie. As a result, viewers needed the stakes to be high, both for the consulting detective and the consulting criminal, and the writers had a great deal to work with. In addition, Conan Doyle killed Holmes because he was tired of him. The show’s intention was the dead opposite–viewers want more of Holmes, not less, so the fall had to take into account the heartbreak that everyone knew was coming, like it or not. The resulting episode was chilling, funny, beautiful, and heartbreaking. The fall’s conception as a philosophical rather than physical concept was surprising and horrifying, though its inevitable conclusion was extremely close in tone and spirit to the original. In an age of mobile phones and Internet, it makes sense for us to see Sherlock Holmes’s farewell rather than watching his friend find a note, and Mycroft’s ambiguity, while not strictly canonical, fit neatly with his characterization throughout both series. Ample praise has already been heaped on Cumberbatch, Freeman, and Scott. I will just add that their Bafta nominations are more than deserved, and it’s a pity Freeman and Scott are pitted against each other in the same category. Here’s to the Sherlock team for crafting a brilliant series of television capped off by a brilliant finale, and here’s to the 18 months we wait for the detective and the doctor to meet again. In the end, that’s what Sherlock is all about. 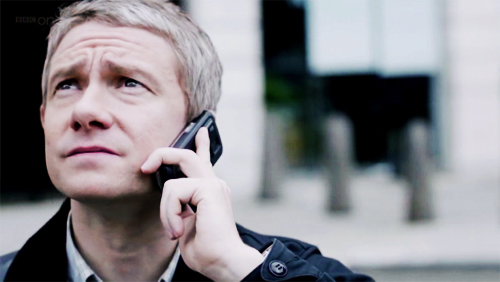 What did you think about the episode and about Sherlock Series 2? Let me know in the comments. I’ve recently been invited to contribute to a Sherlock Holmes humor anthology, and that got me thinking about the one major thing that stood out to me when I re-read the Sherlock Holmes canon in 2010: the humor. 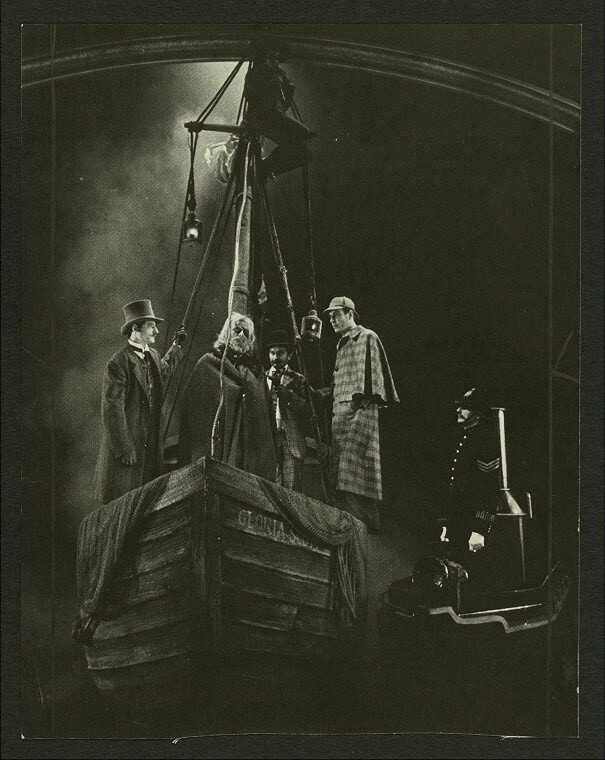 My first exposure to Holmes was before the age of 10, and during childhood, I was able to absorb the suspense and excitement, but the prevalent dry humor eluded me. As an adult re-reading the stories, I was delighted to find a great deal to giggle over in stories that were very familiar but at the same time not familiar at all because I was looking at them with mature eyes. Canon Thursday wants to know: What strikes you as funny in the Sherlock Holmes stories? Do you have a silly idea for a Sherlock Holmes humor piece that you wouldn’t mind me using? Let me know in the comments. It’s been a month since The Detective and The Woman: A Novel of Sherlock Holmes was officially released by MX Publishing, and it’s been a month filled with book-signing hijinks, lovely reviews, and increased availability. Here’s a master list of ways you can get the book, both as a paperback and as an e-book. Mother’s Day in the United States marked the airing of Mark Gatiss’s take on the classic Holmes novel The Hound of the Baskervilles. For Holmesians, this story is one of the most significant in the entire canon because its publication marked the first official hint that Sherlock Homes might not be gone for good, and it bisected the time period between The Final Problem and The Empty House. Gatiss’s reimagining is an intriguing mixture of specific homages and major changes to the original story, filled with exact quotes and plot twists, but also with characters whose genders and roles in the story have changed significantly. The tone of the episode feels very different from the other five in the show’s canon, just as the novel reads quite differently from Doyle’s other Holmesian output. In both cases, the horror/paranormal elements of the story make for far more gothic and shocking mood than usual. In Sherlock‘s first series, Gatiss proved himself to be masterful at character moments, and the interactions between Holmes and Watson during this episode are some of the best of the second series as they navigate anger, deceit, loyalty, and ultimately, what friendship means to the two of them. Rupert Graves’s Inspector Lestrade makes an appearance that cannot be called anything less than charming, and a few other surprising cameos allude to the overall arc of the series. Of further note is the superb score by David Arnold and Michael Price, as well as the beautiful, sometimes terrifying, and always engaging cinematography. The Hounds of Baskerville, series 2’s middle child, refuses to be overlooked or underestimated. It stands alone as a fascinating re-telling of a beloved classic, but it also provides a link in the chain of the wider story Moffat and Gatiss have committed to telling through the series as a whole. What did you think of the episode? Let me know in the comments. Out of the three main women in the Holmes canon, who is your favorite? I’m aware that others are mentioned in passing, but these are the three I want to focus on because of their greater presence. Which one do you love the most and why? Let me know in the comments.